LG V20 is launched and I’m pretty much excited to share its features with you. Quite durable, Sleek LG V20 has a metal body and Si-PC material employed in each corner realize perfect durability for whatever life drop. With high resolution of 1440×2560 pixels, 4GB RAM, Android 7.0, Storage of 32GB, Rear Camera 16-megapixel and battery capacity of 3200mAh LG V20 is the phone to die for. What I loved about the LGV20 is its 3 High AOP (Acoustic Overload Point) Mics that allow to record loud scenes at sporting events without cheering fans distorting the sound. 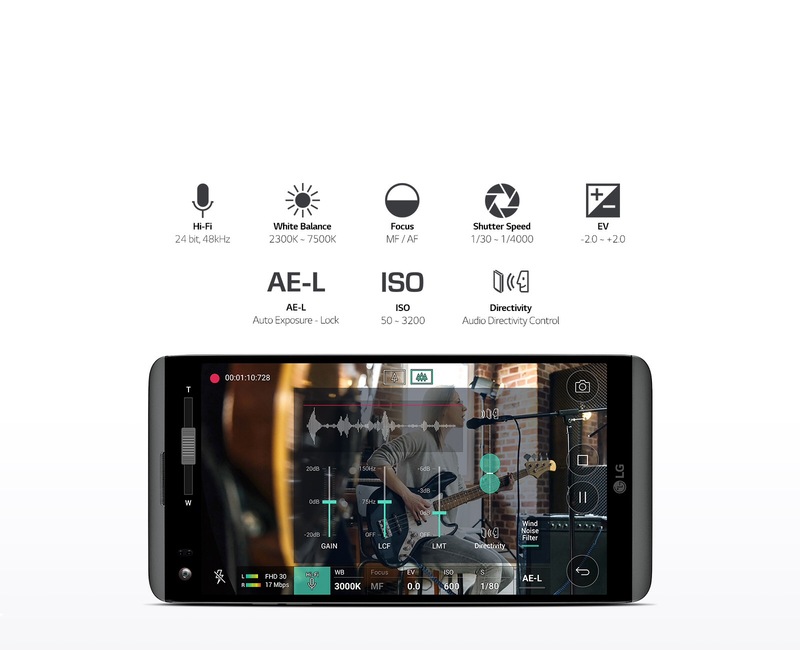 That means LG V20 allows lossless audio format with Hi-Fi Recording. Wonderful! Isn’t it? Professional sound recording with a hone is my dream come true. What more, One can customise video and sound according to his requirements. Another feature that caught my attention is Hybrid Auto Focus. 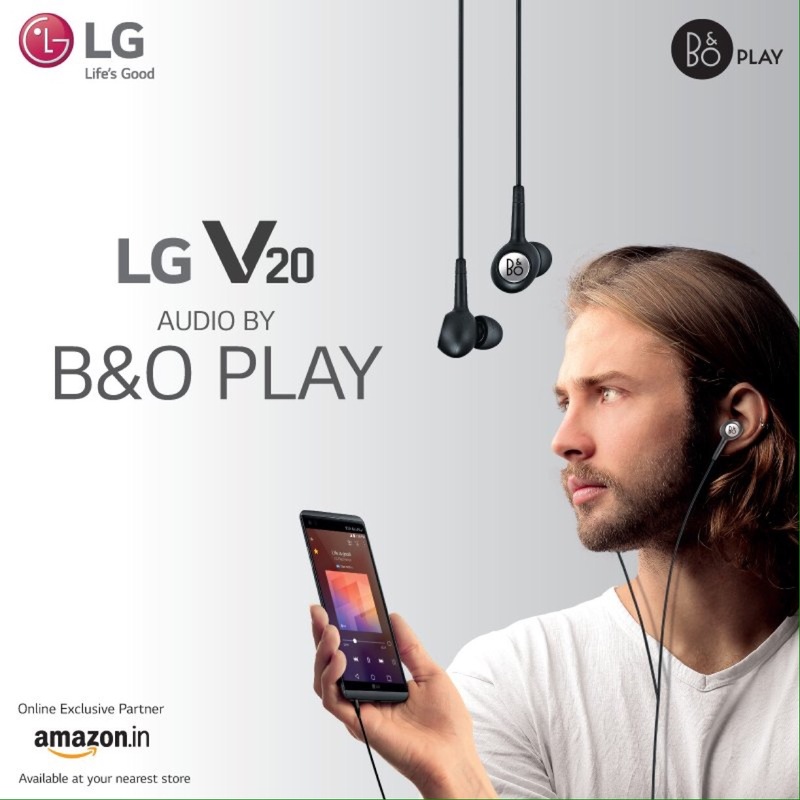 Tuned by B&O play, the LG V20 smartphone with B&O play earphones is an audiophile’s desire designed to perfection. 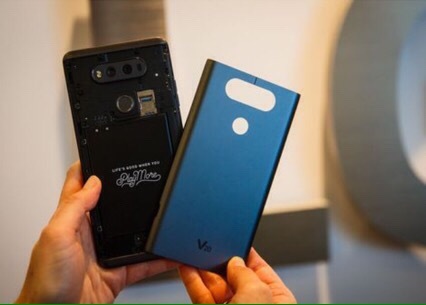 One design feature that makes the V20 unique in the premium handset space is the fact that its metal back is easily removable by pressing a small button on the side. This reveals a consumer-friendly removable battery and the SIM and microSD card slot. Even more impressive is the wide angle feature. It provides unique and interesting photos with a slight fish-eye look that give you the extremely satisfying feeling of fully capturing all that you can see. In fact, it’s actually capable of capturing more than you can see. My verdict is that the multi-utility LG V20 should be bagged as a precious possession. Killer looks and features to die for, LG V20 is exclusively available on Amazon! 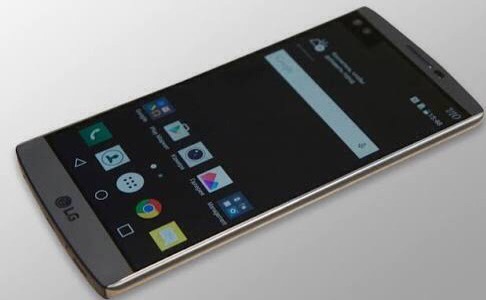 *Upgrade to #LGV20 smartphone & get Rs. 20,000 assured buy back. *Get a free B&O earphones & back cover. Next Hello God! Are you there?